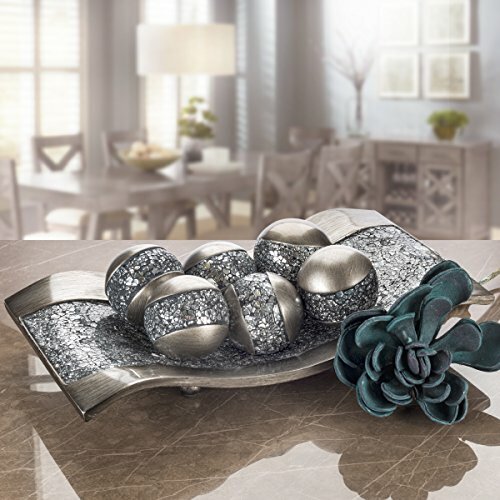 BEAUTIFUL DECORATIVE TOUCH: Silver crackled mirror design creates standout decorated orbs. 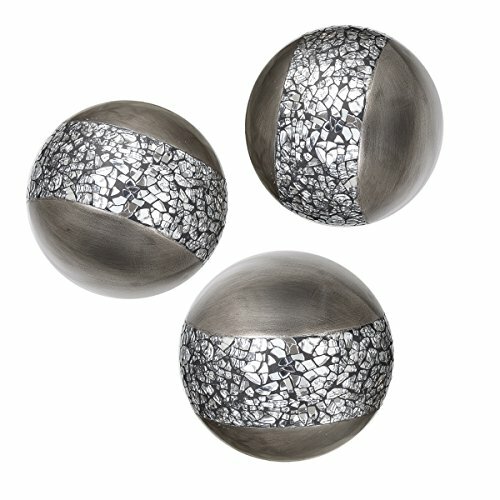 DESIGNED FOR DURABILITY: Heavy resin gives these decorative sphere balls unmatched longevity. 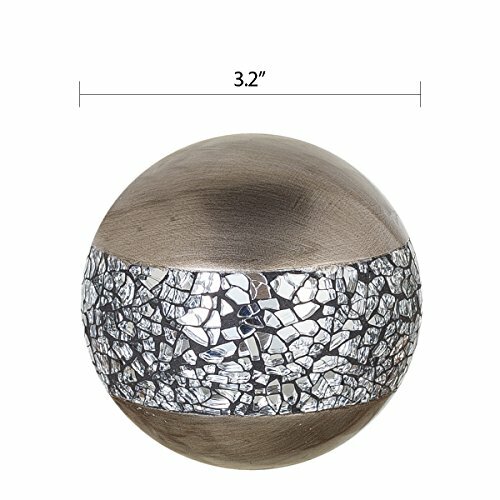 UNIQUE TABLE CENTERPIECE: Each of the decorative table Orbs/balls is 3.2" diameter and makes a lovely table center piece. 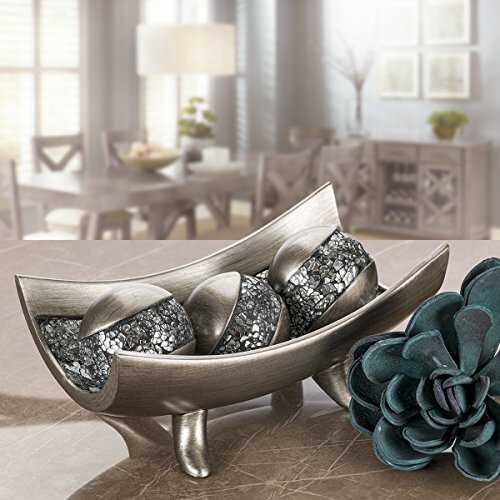 GREAT GIFT IDEA: Pair the decorative orb/ball set with the Shonwerk bowl for a perfect present. 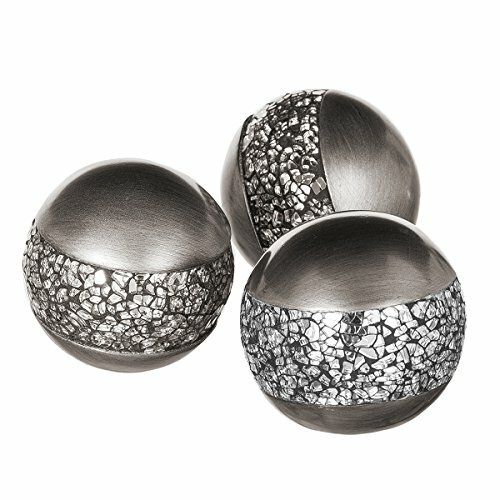 BEST VALUE: The decorative centerpiece balls come in a set of 3 at a price your wallet will love.